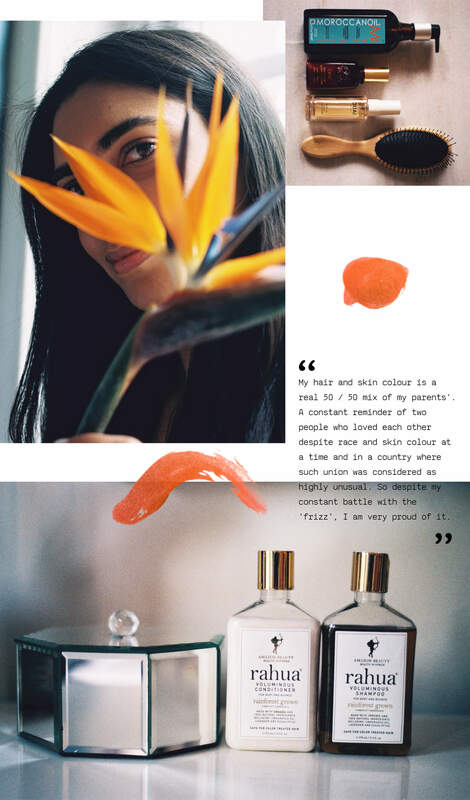 Meet Aurélie Ollivry a beauty publicist at London communication agency Monty PR, representing some of the coolest cult beauty brands and is the founder of Soleil Bazaar a beach accessory brand that launched this summer. Soleil Bazaar is a collection of beautiful crafted woven baskets using indigenous techniques by Mauritian artisans. 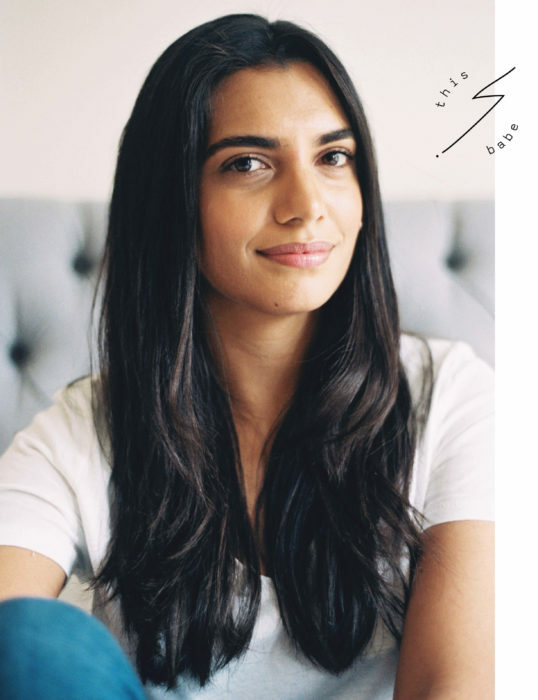 With a day job that requires her to spend her working hours with cosmetic formulators and journalists she knows everything there is to know about the latest advancements in skincare and the newest products launches. 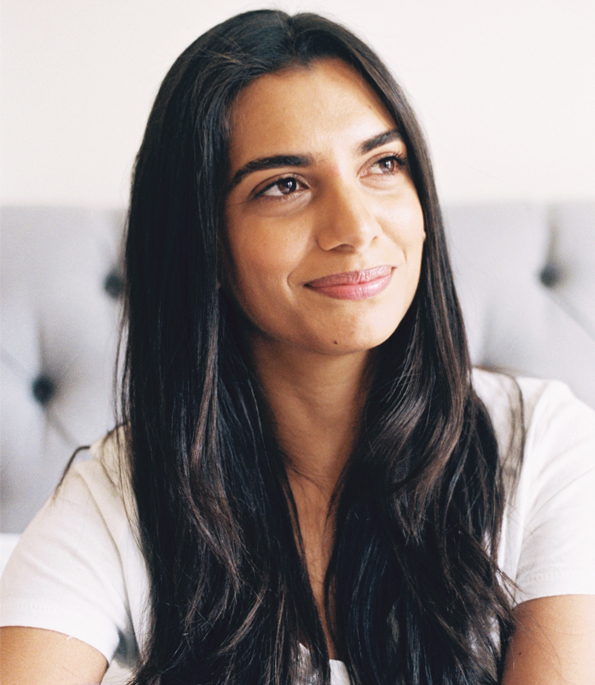 Here she talks to us about her beauty routine, her favourite products and why she launched her own accessories brand. I’m mixed, both my parents are Mauritian, my father was Caucasian of French origins and my mother is of African descent. I was born and raised in Mauritius. I am an island girl through and through. By complete accident. I studied law and the plan was to follow in my father’s footsteps and be a lawyer. When I graduated from university and after a couple of internships at law firms in London and Paris, I felt that I was itching to do something more creative. I applied for internships at fashion / beauty companies and got offered a six months internship at a beauty pr agency which led me to where I am now. What would you say has been the biggest challenge in your career? I interned at many different agencies trying to get a foothold into the industry during the peak of recession in 2008, getting that first paid job was the biggest challenge. What is an average day in the office for you? journalist or an influencer to showcase the latest launches from my brands. I would then head back to the office to catch up with my team, go through our to-do lists and monitor our client’s daily coverage. Throughout the day I spend time answering emails, reading about new trends, ingredients and industry news but mainly, most of my afternoons are spent pitching my clients for specific features and pages, writing press releases or compiling new product launch strategies. That it allows me to meet so many interesting people and learn so much about an industry that I am completely passionate about. I have been lucky enough to have worked with and learn from the most incredible make up artists, facialists and product formulators. What do you dislike the most about your job? That it can sometimes be too fast paced, we are always working ahead of time. For example, we plan and talk about Christmas from as early as July. So when Christmas actually comes, all the excitement is gone! 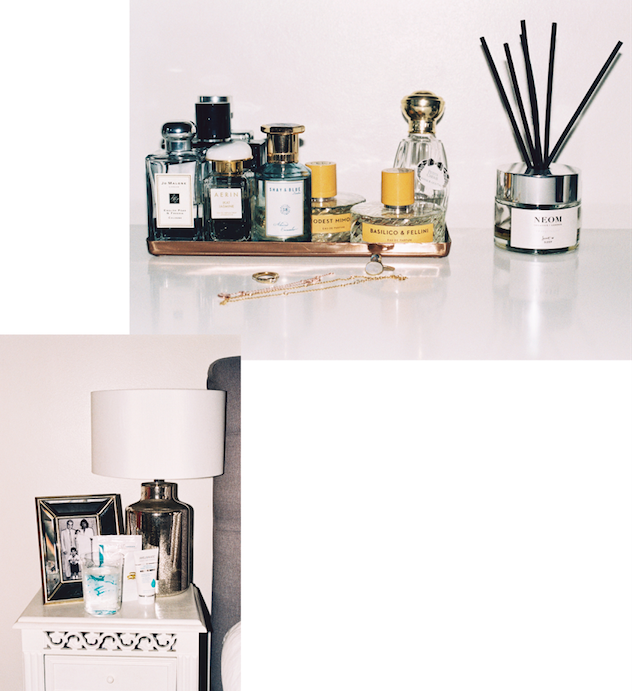 Tell us about Soleil Bazaar? I was brought up on the tropical island of Mauritius and surrounded by the island’s beautiful colours, cultures and artisanal crafts which at the time I took for granted. It’s only after I left Mauritius that I realised what a magical place it is and how lucky I had been to grow up there. I now appreciate the little things that seemed so normal before. One of these is the amazing craftsmanship, especially weaving, this has been passed down through generations of artisans. In the last few years wicker and straw baskets have become fashionable around the world and I thought it was the perfect time to introduce our craft to the world and that’s how Soleil Bazaar was born. All baskets and clutches from the range are handmade by women artisans from Mauritius and the islands of the Indian Ocean. The aim of the brand is to support these artisans by providing them with work and paying them a fair wage. 10% of the profits from each sale is also donated to Mauritian based charities, helping to further give back to the people of the island. I am hoping that Soleil Bazaar will raise awareness of Mauritian trade craft to the younger generation and encourage them to carry on these traditions. To stop worrying and not worry about things that can’t be changed. I am an anxious person and have to regularly remind myself to let life run its course. What does your hair represent to you? My hair and skin colour are a real 50 / 50 mix of my parents’. A constant reminder of two people who loved each other despite race and skin colour at a time and in a country where such union was considered as highly unusual. So despite my constant battle with the ‘frizz’, I am very proud of it. Do you have a hair care routine? My hair care routine is very minimal, shampoo and conditioner and a little oil to avoid frizz and split ends. 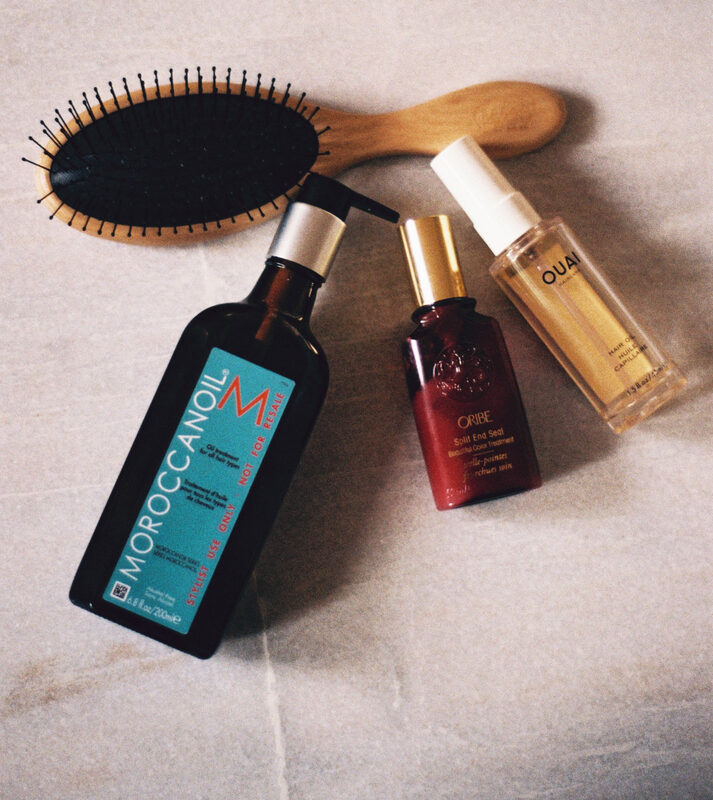 At the moment I am loving Rahua Shampoo and Conditioner and Moroccanoil and OUAI hair oils. Have you had any major hair disasters? I had a bad experience with a Japanese straightening perm when I was a teenager. An absolute disaster, it was way too strong for my hair and really damaged it, causing it to break and leaving me with an unintentional fringe! On holiday, when I have a tan. I keep my skincare routine very simple and straightforward. In the morning I cleanse my skin using Sarah Chapman Skinesis Rapid Radiance Cleanse, I leave it on my face whilst I brush my teeth and it acts as a quick face mask. Then I apply Beauty Pie’s Super Eye Energy Peptide Infusion Cream. I always use a vitamin C Serum before moisturising, at the moment I am using Glossier’s Super Glow Serum. Finally, I use a moisturiser that has an SPF, I am currently using Sarah Chapman Skinesis Dynamic Defense SPF15. In the evening if I’ve been wearing make up, I remove it all using a micellar water. Then I cleanse my skin with a cleansing balm, I love Sarah Chapman’s Skinesis Ultimate Cleanse. I then follow this with a serum, my go-to’s are Beauty Pie Plantastic Micro-Peeling Super Drops and Beauty Pie Super Stem Cell Moisture Shot Serum. Depending on how my skin feels, if it needs extra moisture or if I have breakouts, I’ll then apply a night cream, I love Sarah Chapman’s Skinesis Icon Night. I have inherited the bushiest brows from my father so I like to keep them nourished using BBB London Brow Oil. I have recently gotten into Jade rollers, I use the Yu Ling face roller all over my face and especially around my eyes after applying my eye cream. If I’m honest, I bought one just to jump on the beauty bandwagon but I’ve really enjoyed using it and feel that it really helps with product absorption and de-puffing. One of my new year resolutions was to moisturise my body everyday. Sadly I have failed miserably, but when I do moisturise I only use Ameliorate products. The Body Lotion and Body Cream contain lactic acid that gently exfoliates the skin whilst deeply hydrating it. It honestly leaves your skin silky smooth. But I do use the Intensive Hand Treatment religiously before going to bed. 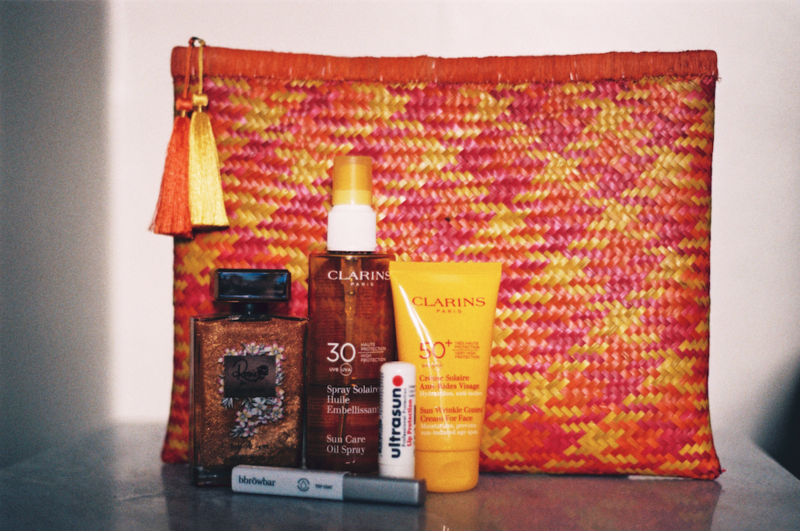 What skincare products could you not live without? I could not live without a cleanser, moisturiser and Drunk Elephant Lippe lip balm. 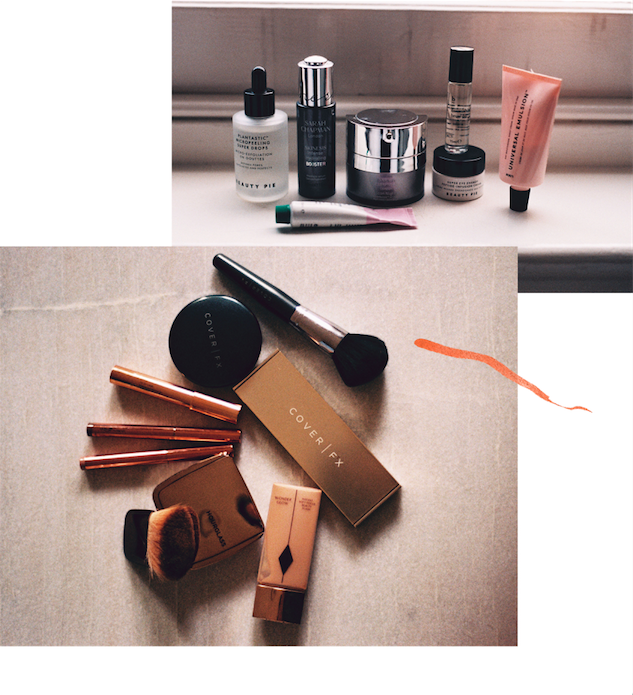 What are your favourite make-up products? I know it might sound crazy for a beauty pr but I don’t tend to wear make-up during the day unless I have meetings and doing a lot of people facing activities for work. When I do wear make-up, I use Cover FX Pressed Mineral Foundation in N70, Hourglass Ambient Blush in Dim Infusion and their Lighting Powder in Radiant Light. I like to use BBB London Brow Build Gel in Indian Chocolate and their Iconic Lash Mascara followed by the Rosie for Autograph Lip Glossy in Supermodel Smile on my lips. If I’m going out in the evening I like to create a smoky eye look using Rosie for Autograph Cream Eyeshadow Stick in Feline Fox and finish my look with a dark or bolder lipstick, my go to shade is Hourglass’ Icon. I go to Pilates classes a couple of times a week and do a TRX class with my boyfriend every Sunday. TRX is so hard, I have to be dragged to the class every week but I always feel so good after. I am not a morning person! I’d say my morning routine is probably snoozing my alarm until the last possible moment! Haha. Anything on the radio. I don’t like wearing headphones as I feel the need to be aware of my surroundings; so the only time I end up listening to music is in the office where the radio is always on. But if I had to choose a playlist I would ensure Jessie Ware and James Bay are on it, I also love a bit of Soul and Motown. I am happiest on the beach, at home in Mauritius, surrounded by my loved ones. That’s how I usually spend my birthdays. I fly home a lot and it is a long flight so I make sure to deeply cleanse and moisturise my skin before flying and I never wear makeup; I use a very hydrating serum underneath my moisturiser, one of my favourites to use before flying is Drunk Elephant’s B-Hydra Intensive Hydration Serum. I also always carry a face mist with me and top up throughout the flight, I love Sarah Chapman’s Skinesis Liquid Facial D-Stress and BBB London’s Rosewater Mist. I am currently reading a French book called ‘A l’autre bout de moi’. Written by an award-winning Mauritian born author, the story takes place in Mauritius which brings a sort of nostalgia. I genuinely admire and look up to everyone who works hard, has humility, integrity and gives back. You’re hosting a dinner party, who is on the guest list and why? If money was no object and I could invite anyone I wanted, then why host a dinner party? I’d host a post-Oscar or post-Grammy bash and have all the greatest who ever lived all in one room for one big legendary party! Imagine a Sinatra and Adele duo?! What is your ideal way to spend the weekend? I love chilled weekends, my dream weekend would be in summer, I’d go for a brunch with my friends, go for an afternoon stroll with my boyfriend and sip cocktails at sunset and I’d try to squeeze in an outdoor workout class. 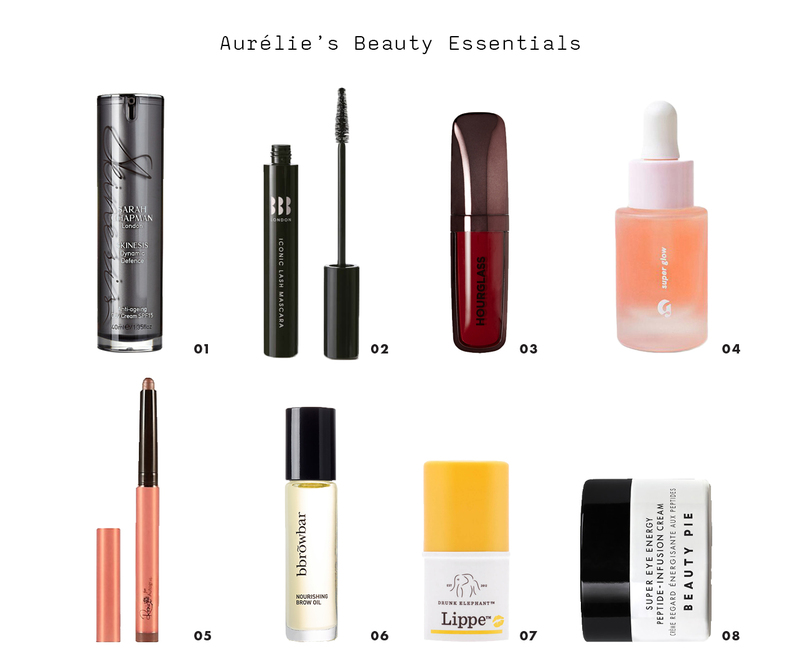 Drunk Elephant Lippe lip balm, 8 Beauty Pie’s Super Eye Energy Peptide Infusion Cream.